Honfi did in fact have a plan and it works provided you don't get mated. 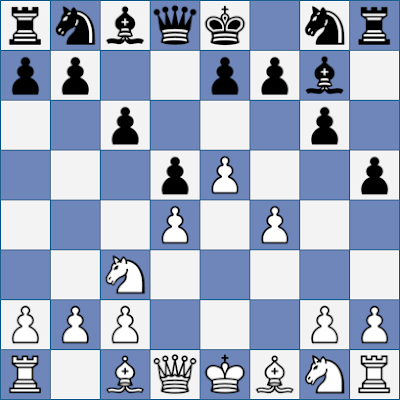 What he should have done was to keep his King safe by castling short and then play to round up the pawn on h4 as he was attempting to in the game. I think I recall finding this suggestion in a John Nunn book, but it must have been one you haven't got yet as it was 1990 at the time. One acid test of old books on the Pirc and Modern is whether they recognise how dangerous the 150 Attack with Be3 or Bg5 can become particularly if White plays Nf3 or f4 rather than f3. You’re talking about Nunn’s The Complete Pirc I think Roger. I did used to have that - bought it while I was at University I think (which would mean a publication date between 1990 and 1992 or so) - but it went with a lot of other books (around 100) a few years ago in what I now think of as the Great Terror 100+ chess books flogged. Many bought back since. Funny you should mention 150 Attack. I was going to make exactly that point myself in a couple of weeks. The 150 attack. Due to rating inflation, this should now be called the 160 attack. It is best met with the 120 defence. Yes, time has come to the rescue of David Norwood with regard to the ... c6 system. ... Qc7 and then ... e5 in the position mentioned (or, as you say, ... Qc7 before ... Nbd7) anybody relying only his book might have found themselves in a pickle. 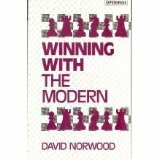 That section did strike me as rather too slapdash even when compared to the generally low standard of chess opening books (and Winning with the Modern is far from one of those low standard books in most respects). There's background involving the match between the Soviet Union and the Rest of the World. 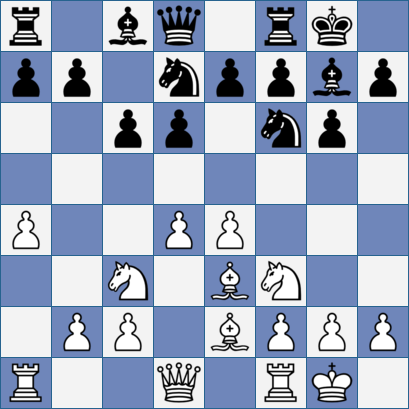 As many will recall, Fischer took board 2 in that 1970 match and thus faced Petrosian. 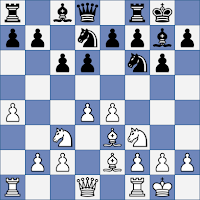 With the white pieces Fischer faced the Gurgenidze system and by analogy with similar positions in the Benoni ( a4 v a6) prevented the advance of the h pawn by playing g3. It became received wisdom that was the correct treatment until the Nunn book which suggested that Honfi was right all along, that you should provoke .. h4 in order to surround and win it.